A monster of a spinning week returns this October 2-8, 2017, as spinners throughout the globe come together to see how much yarn they can spin! 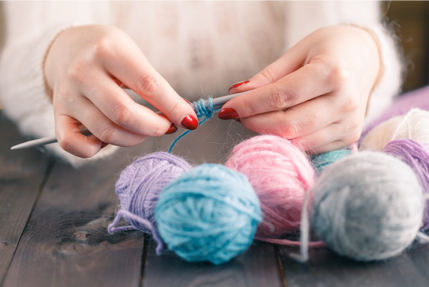 The Woolery is pleased to sponsor this fun-filled event, and today we want to share a few of our free guides to help you prepare for Spinzilla. You're about to ask your spinning wheel(s) to do a LOT of work in not a lot of time! Make sure that they are up to the task by performing a little routine maintenance ahead of time. Click here to get our free guide to spinning wheel maintenance to ensure happy spinning in October! We also have a handy maintenance kit to make check-ups and repairs fast, easy and painless. Make more time for spinning by prepping fiber ahead of time! You may wish to create easy-spinning batts or predraft roving or top prior to the start of Spinzilla. It's also wise to employ a little strategy when selecting which fibers you will be spinning, such as the easy-spinning corriedale found in our 2017 Spinzilla Fiber Pack. Our guide to fiber preparations is also good to keep on hand; click here to download a free PDF version of the infographic below! Yes, You CAN Drop Spindle Your Way Through Spinzilla! Whether you're totally new to spinning, or just want to find a way to fit more spinning into Spinzilla week, our free guide to drop spindles will help you choose the best one for the task at hand! Print out plenty of our free handspun yarn labels so that you can label your handspun yarns as you go. It's so easy to skip this step in the midst of so much spinning, but you will thank yourself later when you don't have to do lots of sleuthing to determine the yardage or fiber content of that mystery skein! Over the years, we've heard a few stories of Spinzilla spinners overdoing it and injuring themselves in their pursuit of the Golden Niddy Noddy. Don't let that happen to you - get our free guide to healthy hands so that you can create a self-care routine that works for you and is easy to follow! Whether you'll be spinning on a team or spinning rogue, we wish all of our fans a fun and fibery Spinzilla!